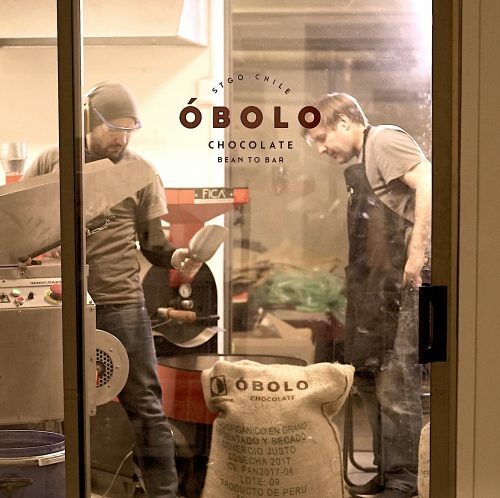 Ryan is a chocolate maker at our 16th Street factory, as well as a frequent traveler and motorcycle enthusiast. Before Areté Fine Chocolate moved from Milpitas, California to Spencer, Tennessee in spring of 2018, Eric, Snooky, and myself had the pleasure of seeing the glory of what was, at the time, still their semi-operational facility before they’d fully packed up for their move. 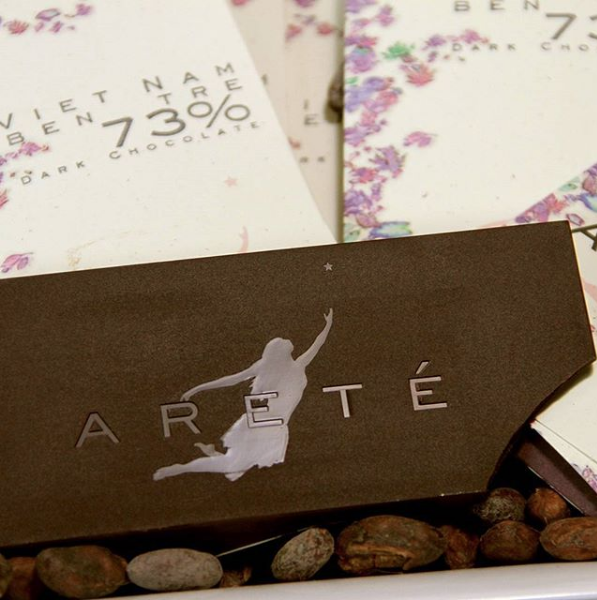 Areté Chocolate is owned and operated by David and Leslie Senk. As of our visit, David and Leslie were Areté’s only employees. We both believe in the importance of data collection to understand outcomes in the chocolate making process. We both believe that when the chocolate is tempered may make a difference in its flavor. Aging chocolate and its impact on flavor is something we look forward to testing in more depth. Areté removes the radicle from all of their beans, which is something we’ve always wanted to do and are we are working towards. Much of their process is a result of custom and creative adaptations to fit their evolving needs while not sacrificing quality. Similarly, improving our quality is central to – and runs parallel with – our reflexive metrics for success as we continue to grow. Areté makes all their chocolate in mini melangers, such as the ones we use for experiments. David believes temperature control is crucial to consistent, predictable flavor. We both believe that testing one variable at a time through experimentation is the best practice. We’ve developed our own process for removing broken and moldy beans prior to roasting. At Areté, all moldy beans are removed after the beans are broken, one by one, through his mechanized, creatively-engineered process, speaking to the ingenuity and passion behind the operation. After roasting in a convection oven, David’s beans are removed and then rapidly cooled to prevent any further, unwanted roasting. In a similar fashion, our beans are cooled in our drum roaster’s cooling tray post-roast. We should continue to consider results of experiments done by others, while holding off on drawing any conclusions until a hypothesis can be tested through our own experiments. We should also continue to revisit the effects of aging chocolate, with future experiments to support our previous investigations. We should investigate further experiments testing the effects of melanger chocolate temperature, which may lead to more stringent temperature control guidelines and an improved understanding of how process temperature directs flavor. Consider moving toward 2:1 mineral oil to chocolate ratio when testing microns via micrometer. My personal favorite part of the tour: Talking with all those present about chocolate, life, and the chocolate life; seeing the incredible passion, enthusiasm, and dedication that the Senks have for making great chocolate. Fun fact: We will be working with Ben Tre cocoa beans and releasing our take on the origin in 2019! Biggest challenges: Possibly scaling up while maintaining quality, and chocolate making as a sustainable business. 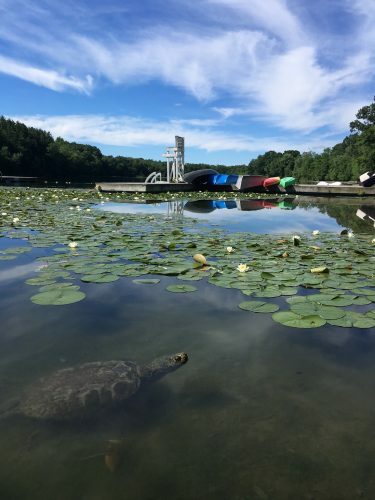 While we don’t normally repost stories onto our blog, I thought it was worth calling this one out. One might say Brazil keeps crossing our path. Dandelion has been interested in working with cacao from Brazil for many years. Our sugar comes from Brazil and we’d be excited to have a bar where all of the ingredients are from Brazil. A few years ago we had the pleasure of hosting Sarah Hartman, the Brazilian Chocolate Maker of Harper Macaw, for the summer. One of our previous Chocolate Makers, Arcelia Gallardo, eventually moved to Brazil and started Mission Chocolate, making some of the tastiest Brazilian bars I’ve had. So much Brazil! 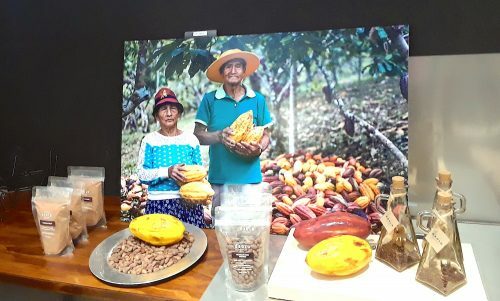 I’ve met many interesting and talented people in Brazil and after visiting Brazil this past May, I am quite optimistic about the bean-to-bar industry there. Many producers are also making chocolate from their own beans, creating a tight feedback loop to help improve quality and flavor. 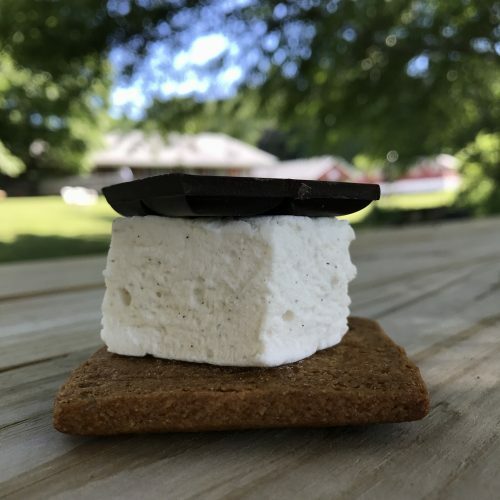 2018 Chocolate Maker Summer Camp!!! 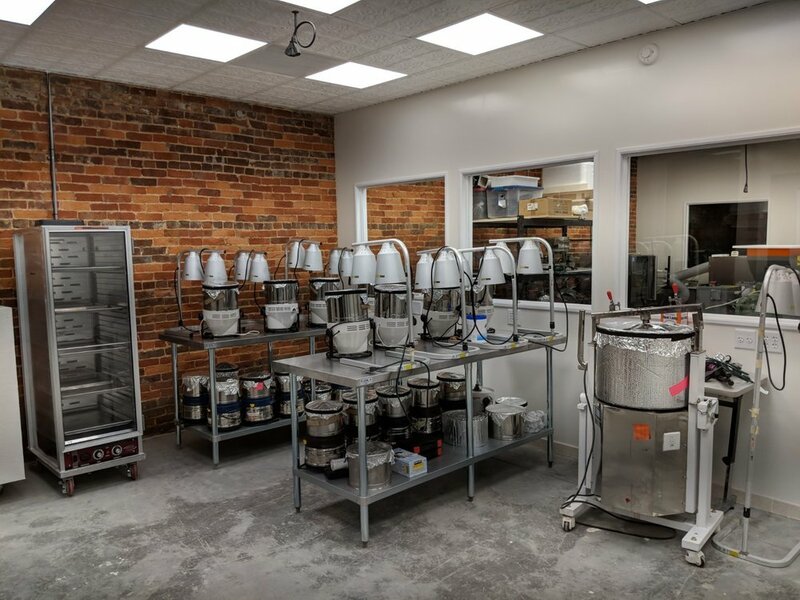 While I don’t typically start a post with an apology, this post is aimed at chocolate makers and professionals in the Chocolate and Cacao community. I apologize if this post causes any sort of undue disappointment to others who don’t work in chocolate and enjoy reading our blog! One of the things we enjoy the most about making chocolate is the amazing community of people who share our passion. From June 26th – 29th this year a number of chocolate makers will be once again hosting our annual Chocolate Maker Summer Camp (a.k.a. The Funconference)! 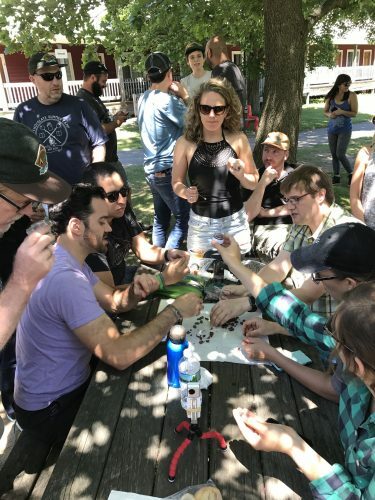 We do this once a year as an opportunity for people who work in chocolate and cacao from all over the world to come together for a few days of relaxation on a lake in upstate New York. 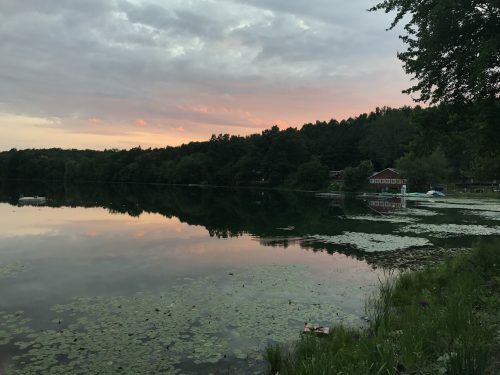 Camp is held for 4 days and 3 nights at the Berskshire Hills Eisenberg Camp. 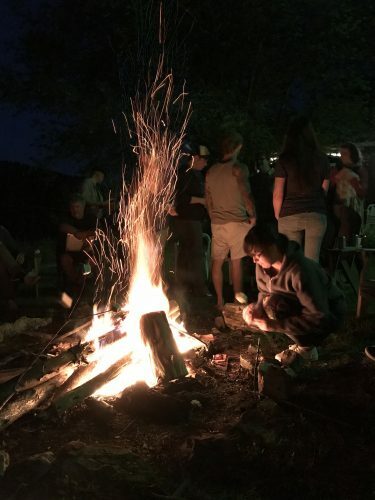 There will be activities (including swimming, archery, and campfires) as well as plenty of time to chat with others in the community. 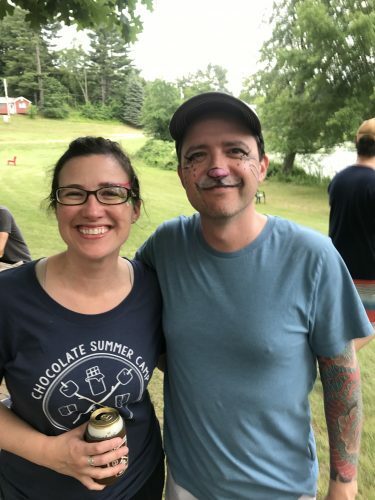 As a bit of incentive I’ve included some photos from last year and if you have any questions please don’t hesitate to contact camp@chocolatemaker.org. NOTE: We are sorry to say that summer camp is only open to industry members (chocolate makers, cacao producers, etc). Sign up for camp here: http://bit.ly/funconf2018 and I hope to see you there! 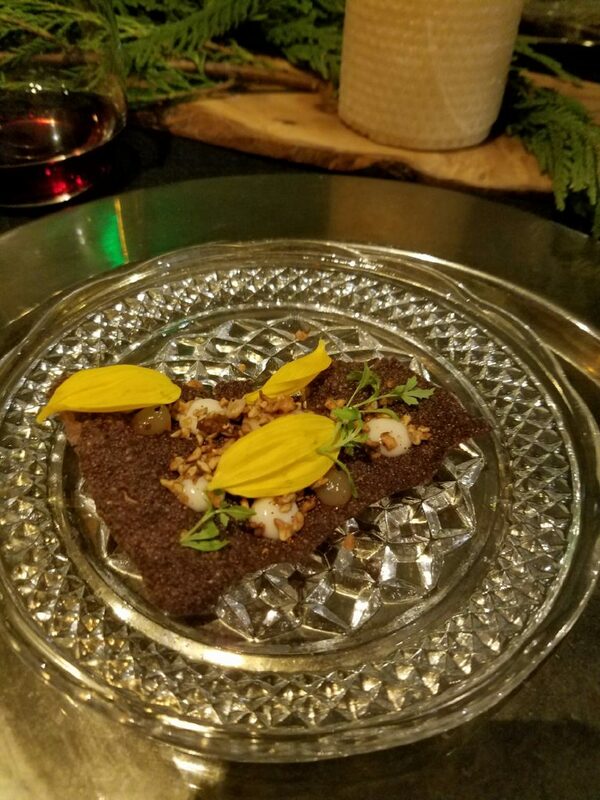 I remember talking to Carla Martin at the Northwest Chocolate Festival in 2015 about her creation of the Fine Cacao and Chocolate Institute (FCCI). 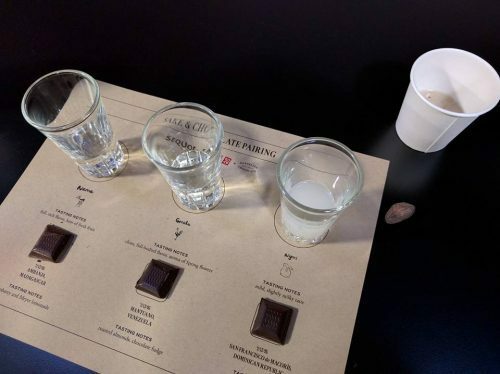 Part of her goal for FCCI was to create a standard (similar to specialty coffee cupping) which could be used across the cacao and chocolate industry to consistently and accurately communicate about flavor. This is something I’d been wanting for a very long time as it’s quite hard for cacao producers and chocolate makers to speak the same language when it comes to the organoleptic evaluation of cacao. Cacao producers tend to taste fermented and dried beans, chocolate makers tend to taste liquor; the flavors in each often being very different. This is where the FCCI protocol comes in – it is a step beyond tasting a bean and a step before tasting liquor and can be done easily, cheaply, repeatably, and quickly enough that it can be useful for all parties. Full information on the FCCI protocol can be found on the FCCI website. I’m going to talk about my nascent use of this protocol for cacao evaluation, but before I do, I want to be clear that at this point I’m not certain this will solve all our sensory evaluation challenges. As I’ve used it, I think where this protocol shines is in comparisons rather than absolutes. In fairness the protocol was designed to be used in the absolute and maybe as I use it more, I’ll change my mind :). The great thing about this protocol is even without a lot of training, if you are trying to understand variations in day lots while producing cacao, this is great. If you are a chocolate maker trying to understand variations in harvest from the year before, this will work well. If you are visiting a new cacao producer and want to get a sense of the beans, this is just great! While I think this protocol does a good job of helping understand positive traits and defects in beans, I’m not certain it can be used on its own to determine if beans will make great chocolate (as opposed to just good chocolate). Ed Seguine’s insight about the FCCI protocol is that he felt it would help you understand if you want to turn beans into liquor, which is a much more arduous process. 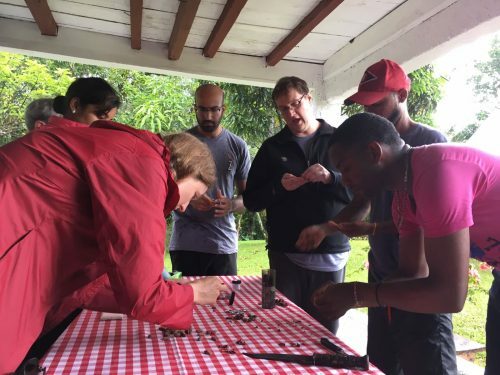 Clearly, this protocol doesn’t mean people magically understand how to differentiate all the various attributes of cacao, that takes time and lots of tasting (and FCCI is working toward making this sort of training available to all). But, even if you just want to start off by understanding how today’s beans compare to last week’s beans, it’s useful. 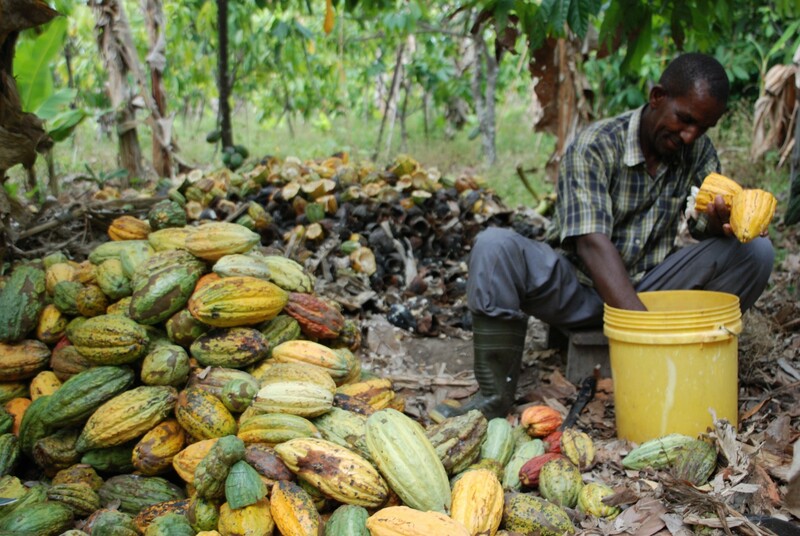 My last caveat is what I am describing here is what I might refer to as the FCCI cacao grading field protocol. The more formal lab protocol was linked above. The formal protocol calls for a different set of tools but it was a set of tools I couldn’t fit into my standard traveling gear. So, I talked to Carla and came up with a smaller set of gear that I’d be willing to carry all the time. The FCCI protocol also has a paper form. I made an offline-capable app. – Pull 100g of beans using a scale and evaluate external characteristics. I will sometimes skip this step for things like day lots which don’t change much. – Perform a cut test on 50 beans and record the results. Again, if I am just trying to get the flavor, I sometimes skip this. – Pull a set of 20 beans at random, break up, and peel all 20 beans. If they’re tough to crack, try with a nutcracker. This is important, as you need to use all the beans, not just the ones that are easy to peel, because the tough ones often impact the flavor significantly. – Sing a little song while grinding up the beans until they are all ground up! – Mix the resulting powder to homogenize. This is one of the best aspects of this protocol, tasting 3 or 4 beans doesn’t give you a sense of a whole lot, creating a powder both releases aromatics but also allows you to taste a larger sample size consistently. – Evaluate aromatics by reading each criterion on the scoring sheet, smelling the sample, and giving a score. It’s a lot easier to smell one time for each criterion than trying to remember the sensation of them all. – Evaluate the flavors by taking a 1/8 teaspoon sample of the powder and putting it into your mouth. While smelling beans multiple times is easy, tasting that many times is harder so I suggest tasting the sample and then scoring a quickly as possible while it is fresh in your mind. Feel free to spit it out! There are times I just do aroma and taste and other times I do a full evaluation. I don’t tend to do a cut test but others might like to. 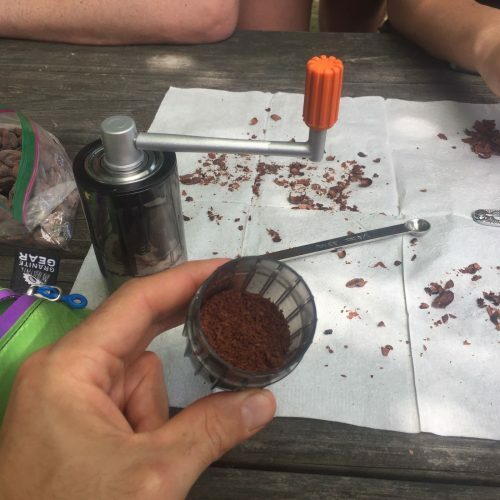 I am new to this, I only started using this methodology on a recent trip to the Solomon Islands (sponsored by PHAMA who is doing some great work in the Pacific islands with cacao). What I found was it gave me a good, consistent way to evaluate someone’s cacao. It was thorough enough that you felt comfortable with the result and didn’t take months to give initial thoughts on beans. It also gave me a good opportunity to sit with producers for a few minutes touching and tasting their beans, almost like a little ritual so that they knew I was taking the evaluation seriously rather than tasting 3 beans from a bag and saying “hmmm.” It’s hard to get to know people in short visits and any opportunity to build rapport is worth exploring. 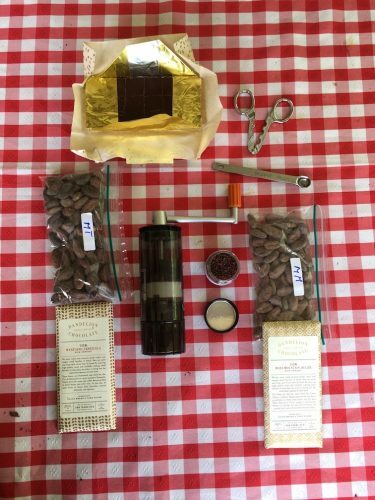 This protocol helped me understand which beans seemed good enough to get a sample and process into chocolate. Narrowing which beans to get for sampling is helpful as one of the worst things a chocolate maker can do is get a sample and not give feedback. Samples take a lot of time and energy for producers to pull together and ship. If you don’t want to give feedback, don’t get a sample. I partially say this as I am guilty of it as well. There have been times we’ve gotten busy, haven’t processed a sample and each time I know I have wronged the producer who sent us the sample, I should’ve just not asked for one at that point in time. The app I made saves a GPS point, photos, and scores which help me keep track of samples. The app also creates a PDF (such as Solomons-Waisu-Evaluation) which is helpful to give back to the people you are working with. Carla and FCCI are working to make a free, standardized app for evaluation. Until that point I will happily share the app I made, if you are interested, just email me at gregd@dandelionchocolate.com for more information! It feels to me like this is a great step in the evolution of cacao sensory evaluation. 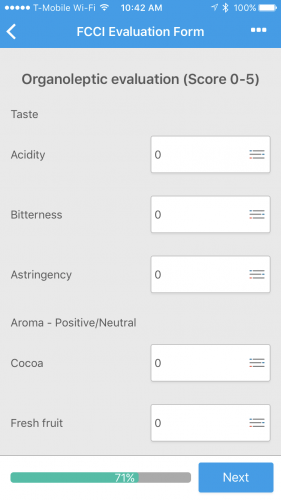 I’m sure there is more to come but, if you are a cacao producer looking for a consistent way to evaluate lots or a chocolate maker looking for a lightweight evaluation method, give it a try! This is a living protocol and FCCI is looking for any feedback users have to iterate on it and make it more useful, feel free to drop them a line at contact@chocolateinstitute.org with any thoughts you might have. If you have any questions for me about this I am happy to answer them, feel free to email or drop by our shop if you are in the SF bay area! You’re curious, so we find answers. Our education team fields lots of questions from our guests during classes, so we’ve decided to launch a brand new series of monthly installments in which we tackle some of those questions and share the answers with the world. We call it The Education Station. This week, Kelsey dives into clarifying some commonly mis-used words – namely what plant chocolate does and does not come from. Sometimes, when we’re deep in conversation with a class attendee or a guest in our cafe, some very similar sounding — but very different meaning — words come up. And those words, if misused, can create a bit of confusion. So let’s discuss coca, coco, cocoa, and cacao, and how, if any of them are related to chocolate. First, let’s talk about what they have in common: These are all plants. They grow in the tropics. Aaand that’s about it. Below, we’ll dig into each of them, but a quick disclaimer before we get started: the definitions here are our own, unless noted otherwise, and refer primarily to terminology used in the United States. You may find slightly different definitions elsewhere, and we’ll do our best to explain how we arrived at the words we use. The plant itself is native to the Andean region of South America and grows relatively easily in mid to high altitudes. When consumed, the primary alkaloid in the plant, cocaine, acts as a stimulant by constricting blood vessels. Coca only becomes dangerous when the cocaine alkaloid is extracted, concentrated, processed and synthesized. Although coca may receive a bad rap due to its modern day uses and cultivation (think Narcos, the TV show), the traditional and practical uses are much more innocent than many think. Often consumed by chewing the leaves, or as a tea, coca has been, and is still, used to relieve pain, altitude sickness and even suppress hunger. 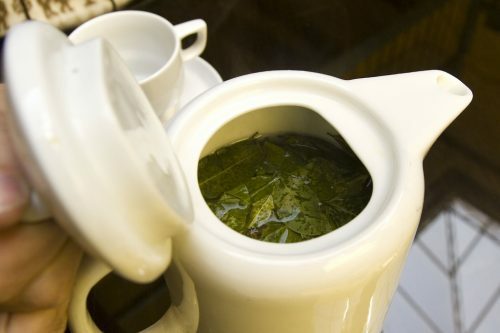 The coca leaf has actually been used for thousands of years, with some of the oldest evidence pointing to nomadic tribes scattered throughout the Andes in Northern Peru, around 1800 B.C. These tribes migrated with the changing of seasons, avoiding the harsh conditions of the mountains in search of food and shelter. This required walking up and down the high altitudes of the Andes for long, extended periods of time, where food was often scarce along the way. Naturally, the healing properties of the coca plant allowed many tribes to move frequently and was used as a sacred medicine. Coca is also known as one of the first domesticated plants in recorded history. Once early explorers of the region began growing the crop for medicinal purposes, the cultivation expanded and evolved as more was understood about the plant. 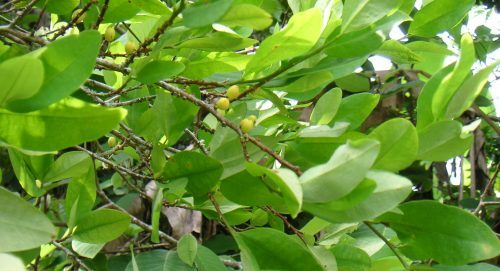 By concentrating of the cocaine alkaloid in order to produce a high demand drug, coca turned into the high-risk cash crop it is now commonly known for. 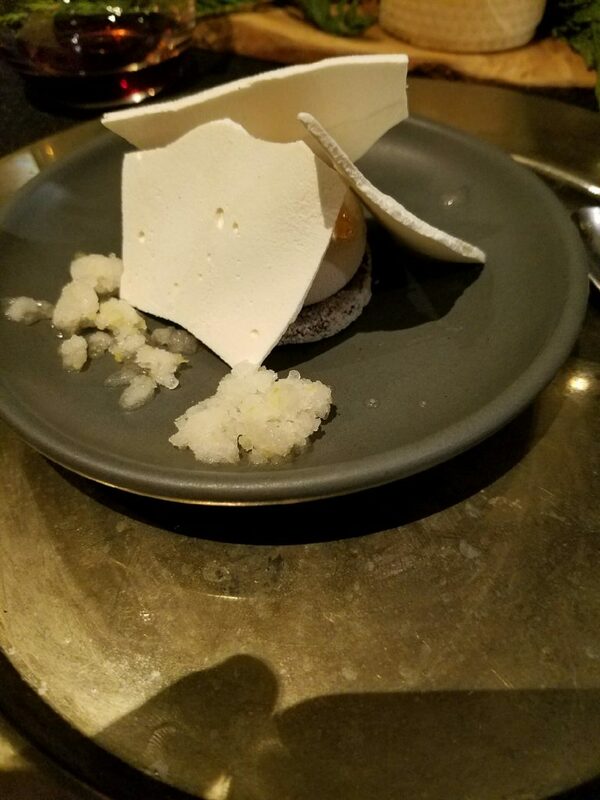 It is not related to chocolate, in anyway whatsoever. Bummer, I know. Often called the Tree of Life, the coconut palm (coco nucifera) has been supporting the local economies of many tropical countries for centuries. The first recorded discoveries of the coconuts were arguably by 15th century Portuguese explorers in Southeast Asia. They described the coconut shell as “coco” meaning “head or face,” for the characteristic the dark holes that resembled two eyes and a mouth. 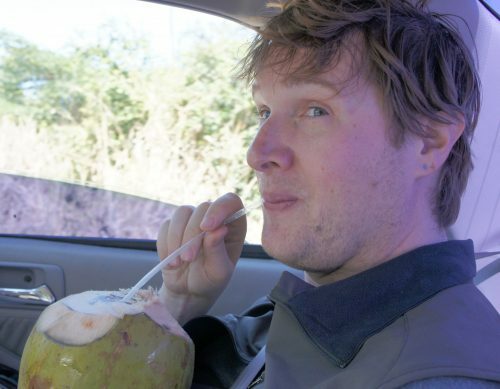 Coconuts are also unrelated to chocolate, but you probably already guessed that. Cacao [kuh-kah-oh]: the fatty seeds of a South American evergreen tree (Theobroma cacao of the family Sterculiaceae) that are used in making chocolate. It’s more than just a funny word from a Portlandia skit. 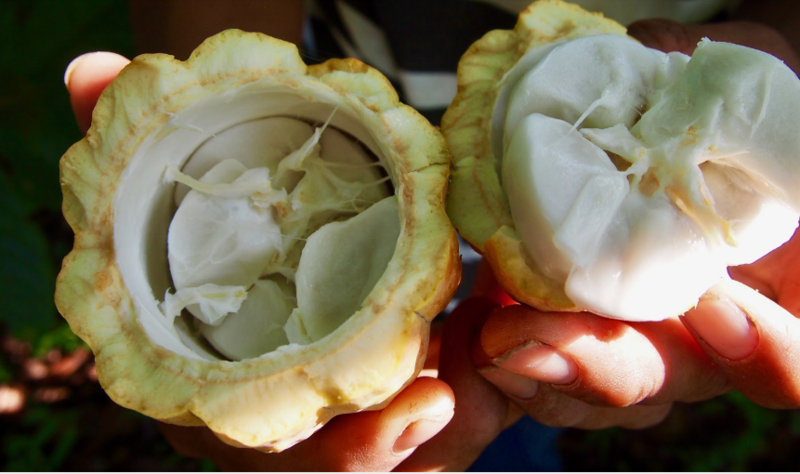 Cacao is the seed of a tree, and it grows inside of a pod filled with pulpy fruit. To make chocolate, these seeds are traditionally harvested, fermented, dried, roasted, cracked and winnowed, then ground down with sugar. 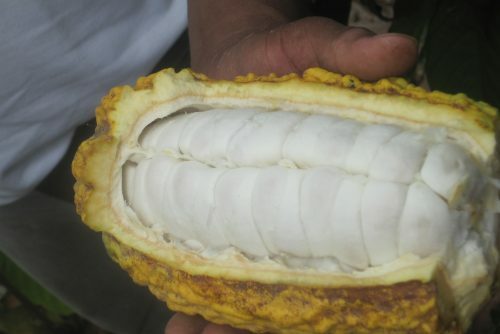 But at some point in this process, the cacao becomes cocoa. Chocolate has been made from cacao for a very long time, and it has a long and deep global history, much of which is widely still unknown. Most of what we do know about chocolate only happened in the last one to two hundred years, but we know it’s existed for thousands! (If you’d like to learn more about the history of chocolate, we’d love to host you in our Edible History of Chocolate classes). So, if cacao is a seed that becomes chocolate, then what is cocoa, and what is a cocoa bean? Good question. 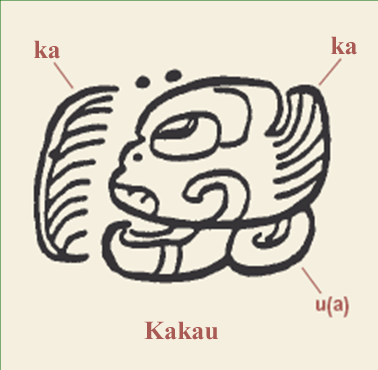 Even in dictionaries, cacao and cocoa are often used interchangeably. 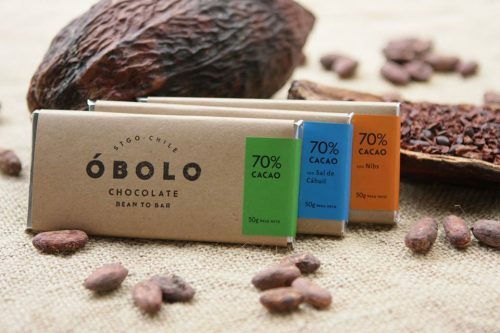 Because of that lack of clarity, the craft chocolate community has been trying to come to an agreement about how we all define things, including the difference between cacao and cocoa. One simple distinction that we like to make is that cacao refers to the unprocessed state, while cocoa is the processed state. But here is where it gets a little more complicated. When does ‘processing’ begin? The minute human hands are involved, say at harvest? Or, is it when the chemical state of the seed has shifted, say during fermentation? We like this summarized definition that was shared with us by the folks at the Cocoa Research Center at the University of the West Indies. Cocoa [koh-koh]: the seeds of the Theobroma cacao tree, once the fermentation process has killed the cotyledon. But, wait, what about cocoa powder? Isn’t that “cocoa”? Well yes. Kind of. Out in the world, sometimes the word cocoa, or ‘hot cocoa’, is used in reference to cocoa powder. 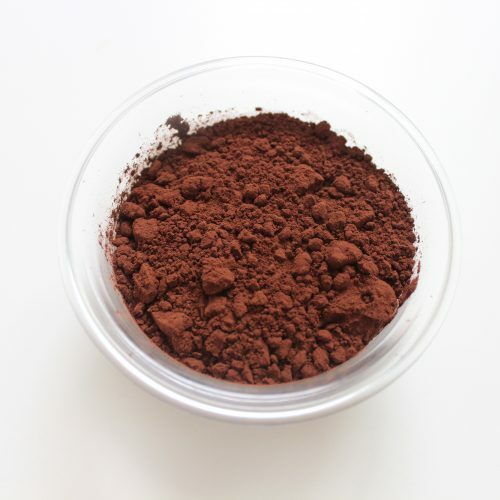 Cocoa powder is made by pressing most of the fat (or cocoa butter, rather) out of winnowed cocoa beans, and then grinding up the solid mass that’s left after the pressing. So technically, if you’re using our definition of things, cocoa powder is cocoa because the cotyledon is definitely dead, but the word cocoa could refer to a lot of things, not necessarily only cocoa powder. It’s one of those ‘a-square-is-a-rectangle-but-a-rectangle-isn’t-a square’ kind of definition. Clear as mud, right? If anything, I hope you’ve taken away a few lessons from this little rundown. Namely, chocolate is not a narcotic or a coconut. COCA: Coca leaves were once a spiritual and medicinal plant that, over time and with heavy processing, turned into a controlled substance. Coca has nothing to do with chocolate. 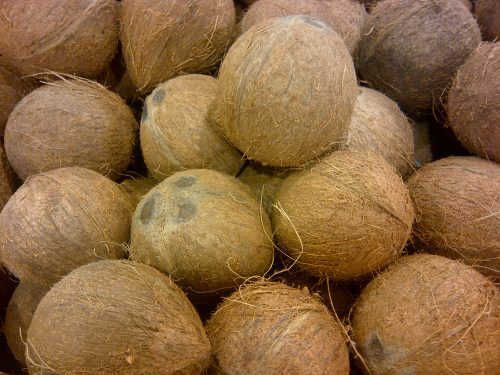 COCO: Although many chocolate makers may use various parts of the coconut palm in their chocolate for additional flavor, chocolate itself does not come from coco(nut). CACAO: The seed which grows off the Theobroma Cacao tree and is the main ingredient for chocolate. COCOA: A debated term. Often alone, cocoa refers to a comforting hot chocolatey drink (at least in the United States). 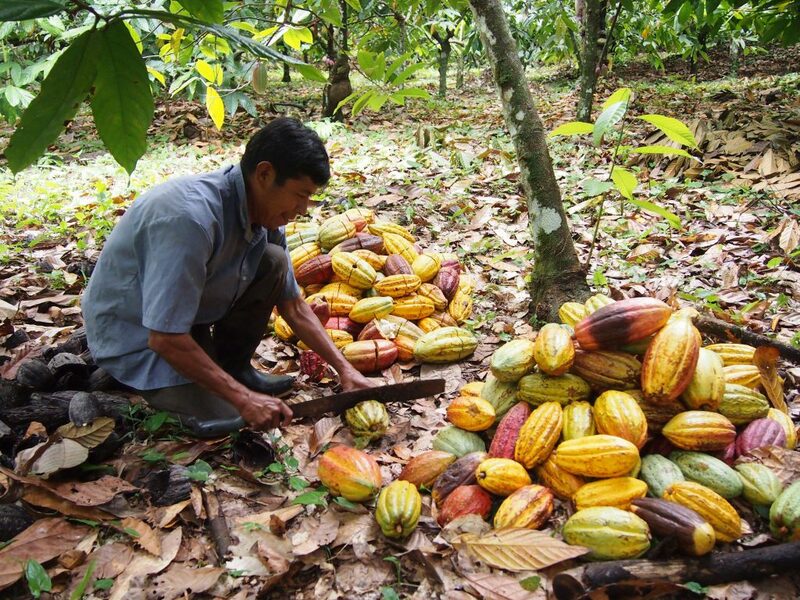 Within the chocolate industry, many use cocoa or cocoa bean to differentiate a cacao seed once it has been processed. About a month ago, a couple members of our education team, Kelsey and Cynthia, were asked to give a lecture on the History of Chocolate to an undergraduate history class at the University of California-Davis. They used the opportunity to create an outline for our newest class at Dandelion Chocolate: An Edible History of Chocolate. Here’s a look into how it went, what they learned, and what you can look forward to in our upcoming class! I remember the lump in my throat as I read the email from Professor Andres Resendez, who has spent his entire academic career studying and writing multiple books all about the early exploration and colonization of Central and South America, imagining what we could possibly tell him (and a lecture hall full of students) about cacao, or about how colonialism introduced chocolate to the global trade system, beginning thousands of years ago. 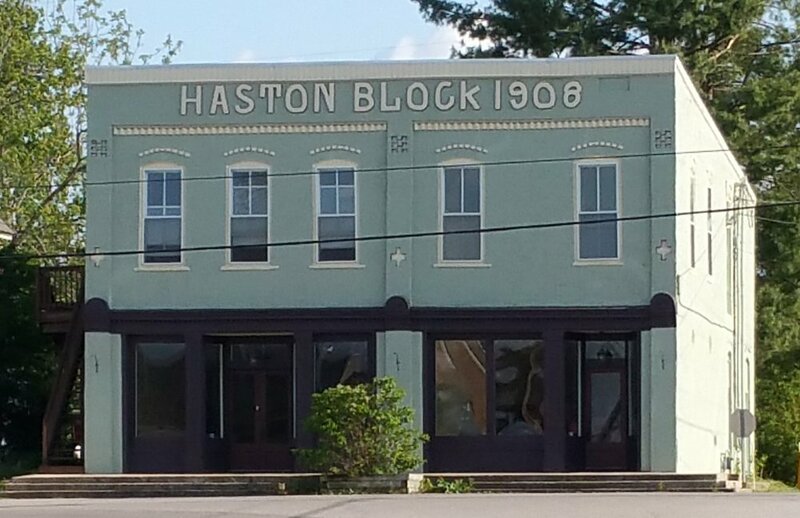 And, history, it’s so…old. How could we know enough to confidently explain it to an expert historian? We know chocolate, we’re neck deep in it every day. But talking about the history of chocolate to a room full of history students felt, well, intimidating. I peeked over my computer at Cynthia. She too had an apprehensive look on her face after opening the last correspondence with Dr. Resendez. But it only took her all of 30 seconds to perk up and smile, as she always does, with a glow of confidence, “Oh! We’ve got this. I mean why not?” Cynthia has a way of boosting my confidence when it comes to these things, reminding me that in our little chocolate world over here we can sometimes forget just how much we’ve already learned about chocolate and where it comes from. I later told her she reminded me of Miss Frizzle from the Magic School Bus, what with her “Take chances, make mistakes and get messy!” attitude. And that was all I needed to hear to be right there with her. She was right. I think we sometimes forget that no one knows it all. We don’t. Historians don’t. Other chocolate makers (probably) don’t. 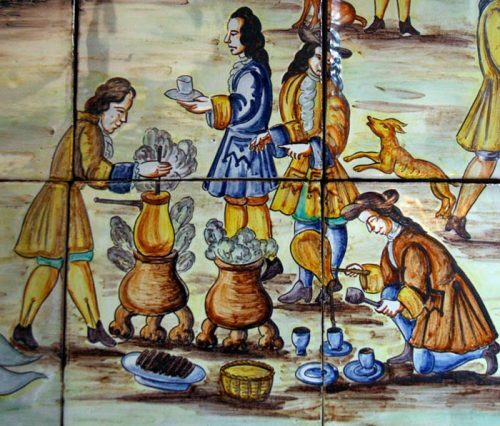 New discoveries are continually being made by scientists, uncovering new evidence extending what we know about the history of chocolate. And then there are the farmers, traders and makers of chocolate, who are regularly discovering new things about the industry. We’re both adding what we know to both ends of the story, the past and the present. You can be an expert and still not know everything; you can be relatively new to it and still know a lot. And that feels like the magic of chocolate; there is always something new to learn. As P-day approached, we dove into the deep end. We reviewed the history of the Olmec, the Maya and the Aztec. ; how cacao beans were at one point a currency, which would set the stage for the future of its influence over the rest of the world. We read stories of European royalty bestowing gifts of chocolate in marriage, a symbol of international alliances. We dove into stories about how the Quaker influence shows up in the modern day labor dynamics in the Ivory Coast. We noticed patterns, like the way different cultures throughout history had some spiritual or romantic association with chocolate, and many of them recognized some aphrodisiac property in theobromine. 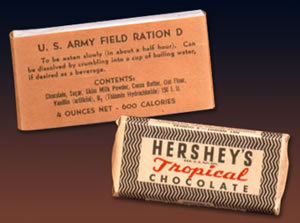 We even learned how chocolate was adopted by the masses in the United States through WWII. Cynthia pulled together 60+ slides, dotted with lore of Emperor Montezuma and his drinking obsession, and stories of the secret Monks of Spain and Hershey bars. And I got to make it pretty with silly animations and words. We worked until 10pm the night before, giddy with fun facts (which could have also had to do with the entire Marou bar I ate while working). We walked into the classroom, took a deep breath, introduced ourselves and proceeded to tell a room full of 20 year olds what we knew. And guess what? We totally killed it. And even better, you can experience the whole thing in our upcoming Edible History of Chocolate class! The first one will be April 20th, from 7-9pm. Stay tuned for more info on how to sign up and future dates. Madeline Weeks is a PhD student at UC Davis studying the social, economic, and environmental dimensions of fine flavor cacao and chocolate. Before starting her PhD studies, she spent two months living in Belize and Guatemala interviewing cacao farmers who sell to Maya Mountain Cacao and Cacao Verapaz. Her time volunteering with these two organizations has given her a deeper appreciation for the unique flavors of each country. Below, she tells us about her recent research into the word “terroir.” At Dandelion, we use “terroir” in the same way that the wine industry does, to refer to way the environment around a tree impacts the beans. We don’t generally consider genetics or post-harvest process a part of terroir, but vocabulary is a hot button issue in an industry as new as craft chocolate, and things are always changing. Here, Madeline makes the case that “terroir” in the cacao world could encompass more than it traditionally has. Cracking open pods in Belize. Many people think of chocolate as one flavor, just “chocolate.” I did too, until I tasted single origin chocolate for the first time. After tasting chocolate from different origins, I began to wonder: “Why does chocolate from Belize taste drastically different than chocolate from Guatemala, and how can cocoa beans from the same region taste so different from each other, year to year?” I’d been tasting a lot of chocolate at the Dandelion Chocolate factory, and I like it so much that I started coming in on Saturdays to help the production team sort beans in the bean room. This summer, I travelled down to those same countries to learn more about cacao cultivation and post-harvest processes. 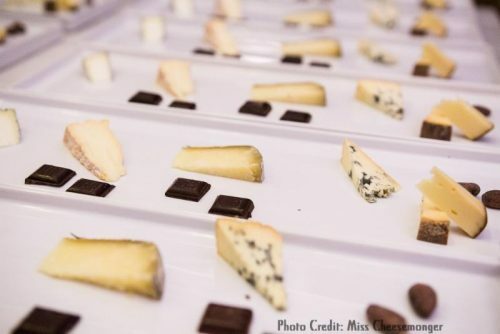 In the wine, cheese, and chocolate industry, we talk about “terroir” as the way land and weather influence the taste of something. What I discovered in Belize is that on top of these elements surrounding flavor, there is a web of social and cultural dimensions that may contribute to its nuances. To think about flavor this way is to expand the definition of “terroir” beyond soil, and after my time in Belize, I think it’s a new definition worth considering. In Belize, my first taste of cacao was the “baba” at the Cacao House, where Maya Mountain Cacao Ltd. (MMC) ferments and dries the cacao. Baba is a thin layer of sticky white pulp that covers the raw beans and aids in flavor development during fermentation. It is incredibly tangy and sweet, like a fusion of flavors from tropical fruits like mango, cherimoya, and lychee. 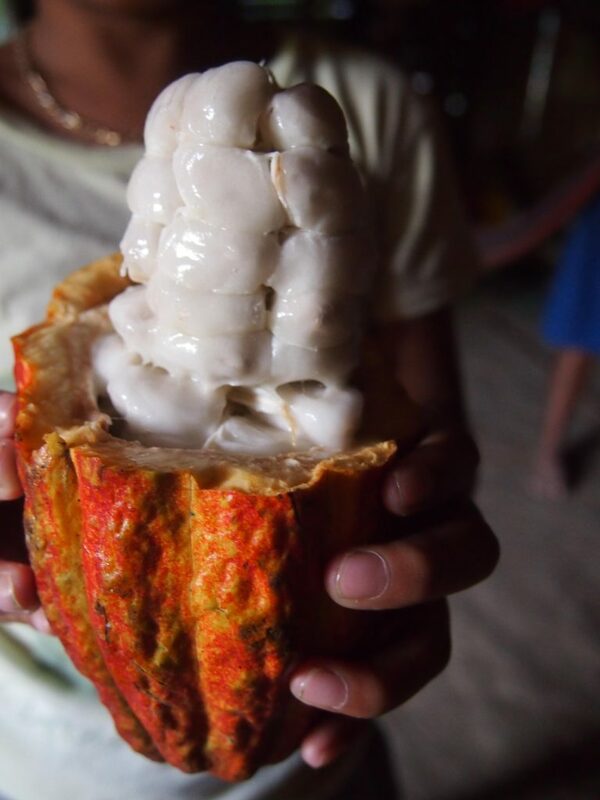 Eating that baba made me feel happy, and so did tasting Belizean cacao in its native environment. I was standing on the soil on which the cacao trees had been grown, I could smell the slightly sweet and slightly sour smell of fermentation, and see the beautiful piles of cacao being dried under the sun. Then I bit into the pulp-covered bean. Beneath the sweetness was an astringency that made me wrinkle my face. The beans did not have the characteristic deep “chocolate” notes that one might expect. I later learned this is because their flavor still needed to develop, and that happens during the post-harvest phases of fermentation, drying, and roasting. 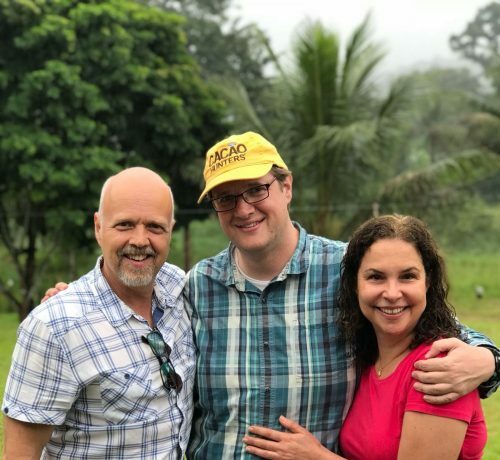 Curious to taste how the flavor first begins to develop on the farm, I spent the next couple weeks interviewing and living with ten cacao families that sell to MMC. 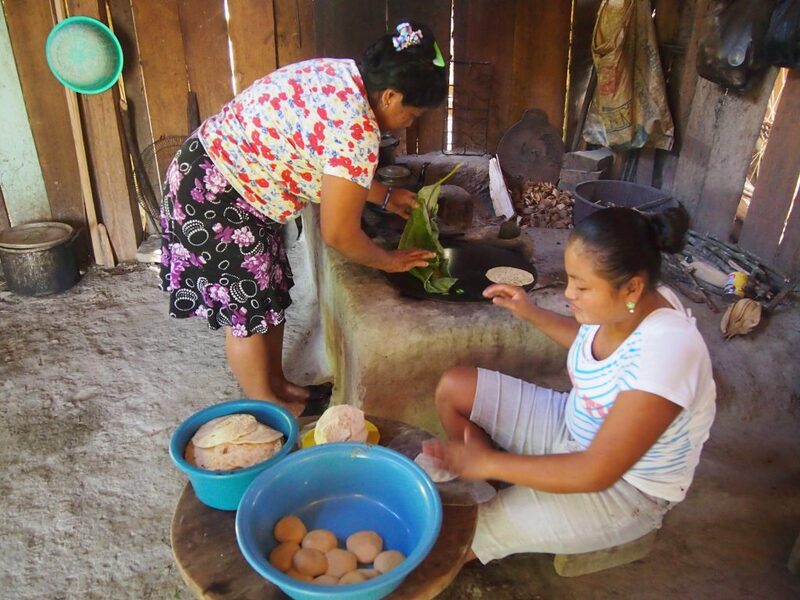 It was customary to begin each homestay by sharing a meal with the family. Quite literally, we would eat farm-to-table. 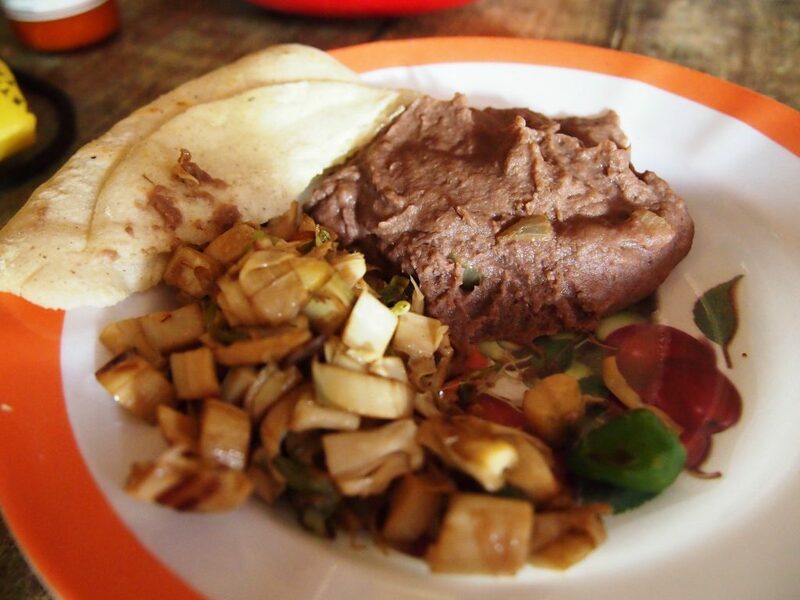 A typical meal might consist of jippii-jappa (heart of palm) and wild herbs sautéed with chili pepper flakes, black beans slow-cooked over a wooden stove, and piping hot tortillas made from corn that was freshly ground over stone. 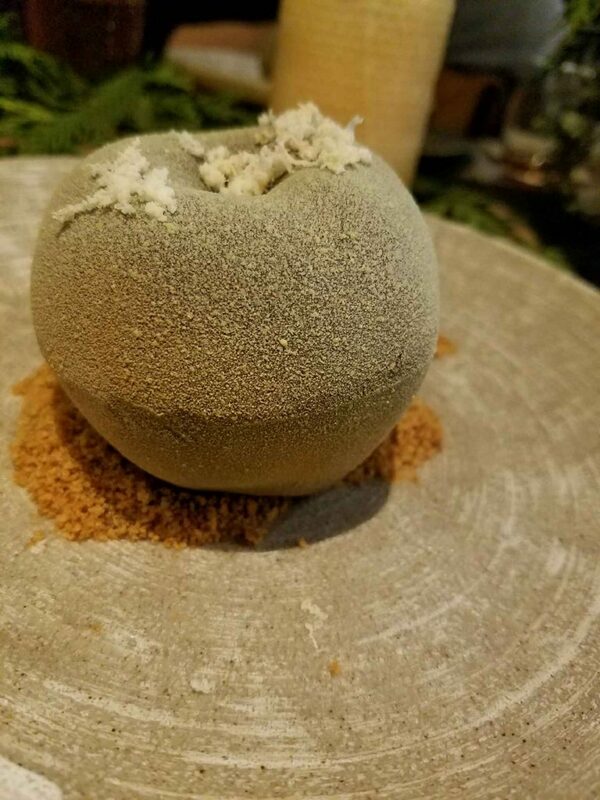 All of these foods had been harvested from the farm and transformed into sustenance through a process bordering on alchemy. A typical meal of corn tortillas, jippii-jappa, and beans. Making tortillas during my homestay with Victor Cho’s family. Like a chef in the kitchen, each farmer has a different style for cultivating the fruits of his or her labor. Their harvest instruments? Simple to the untrained eye – a machete and a burlap sack. Yet the sharpness of the machete only counts for so much without true knowledge of the craft. One of my homestay hosts, Victor Cho, explained to me that finding the right machete for a person was like matching the right wand to a wizard. The size, weight, and curve must be right for the one who swings it. When we talked, he was still waiting until his adopted son was old enough to teach him how to use the machete on the cacao farm. He also taught me that proper harvesting requires full incorporation of the senses: look, touch, smell, and sometimes even taste to ensure that the pods are ripe. He showed me that unripe pods are like plastic fruits that don’t deliver the full spectrum of flavor, and it reminded me of how my mother had also taught me to smell the ripeness of fruit by incorporating my senses, walking me through the farmers’ market and asking questions about where the food comes from. The passing of knowledge from one generation to the next primes the future generation with a natural sense of quality. 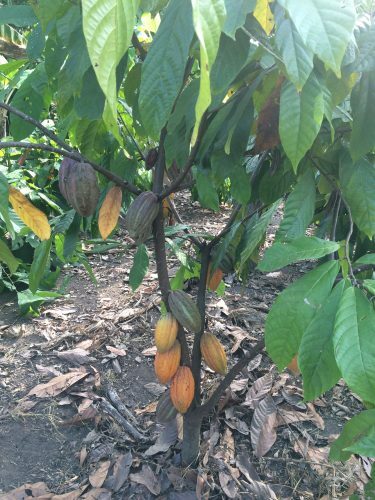 A walk through the cacao farm with Victor Cho. 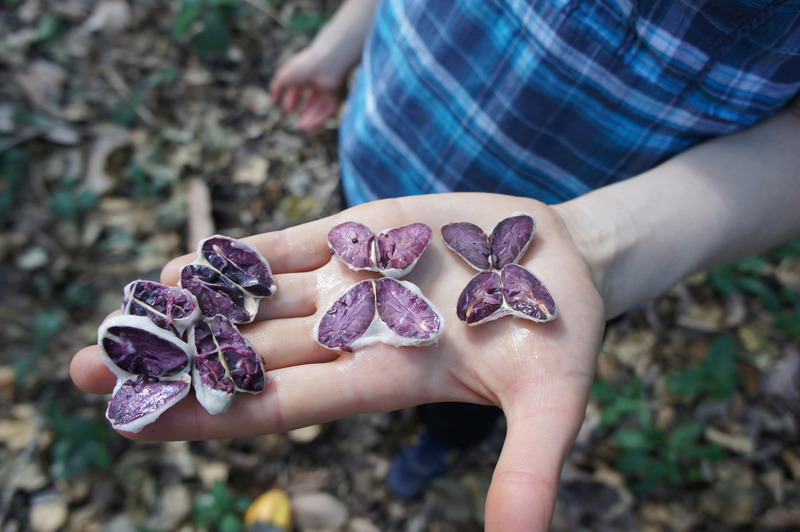 Either on the farm or back at the house, the harvested pods are cracked open to remove the wet beans covered in baba. These beans are stored in buckets covered with banana leaves to sell to MMC or saved for home consumption. One experience I will never forget is tasting the freshly cut baba with Daniel Coc’s children. 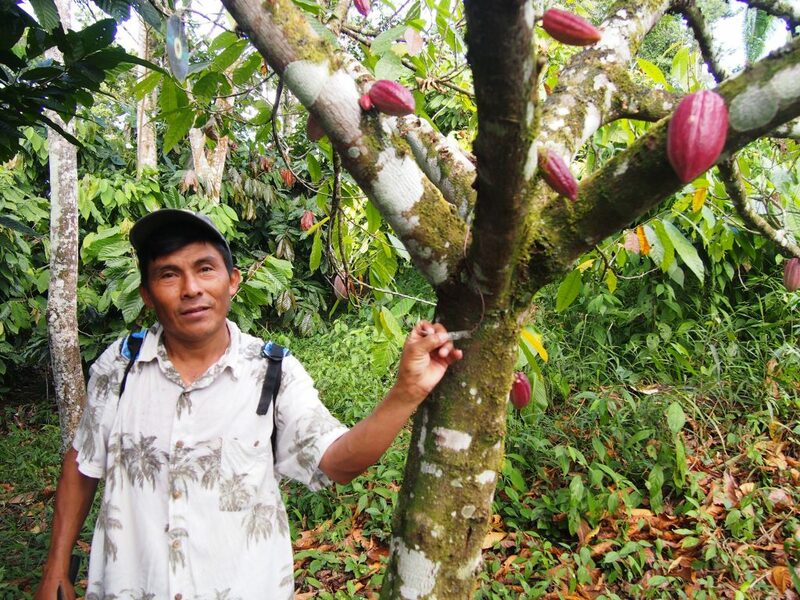 Daniel is one of the buyers for MMC and recently started growing cacao alongside the corn on his farm. 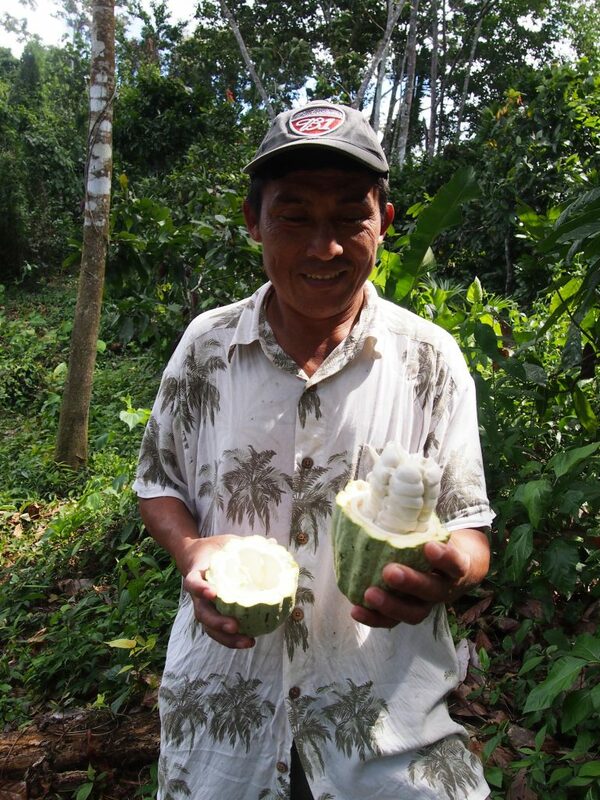 After three years of waiting, his family had proudly harvested their first pod and were ready to crack it open. As we tasted this cacao together, I was filled with appreciation that they had invited me to share this special moment. Learning to taste began with learning to savor. Tasting the delicious sweet baba straight from the pod. The first ever harvested cacao pod from Daniel’s farm. During another homestay, I was treated to a highly traditional way of consuming cacao. 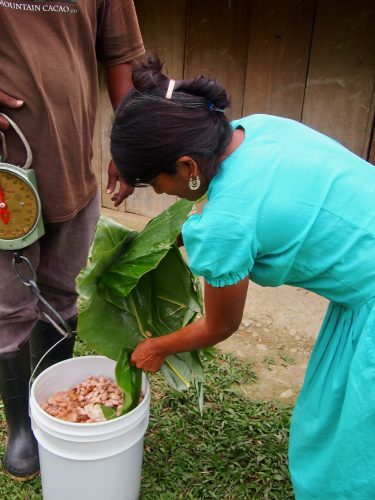 Some households keep a portion of their harvest for home consumption by storing these beans in buckets for a few days before rinsing off the baba and leaving the beans to dry on a sun patio. The cacao used for home consumption is often “washed,” as is traditional here, rather than being fully fermented and prepared for export. Francisco Cho had just prepared a spicy cacao drink made with black pepper and invited me to join in savoring a cup with his family. This delicious drink was my first time tasting cacao in traditionally prepared form in Belize and I felt honored to take part in its deeper symbolic meaning. 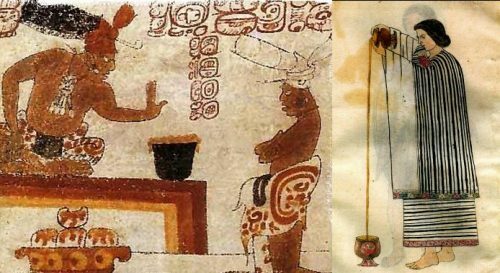 Cacao has been integral to Maya traditions in Central America for thousands of years and to this day is still an energetic drink that invigorates the spirit and brings community together. For me, it was a gesture of welcome on this unfamiliar soil. 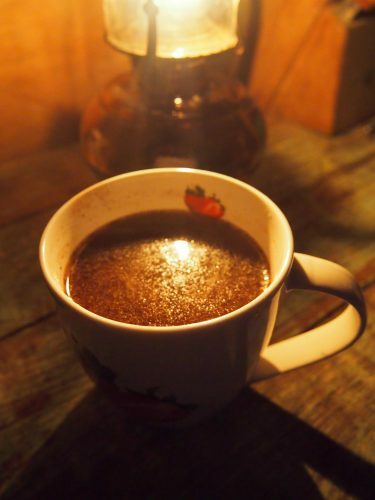 A mug of hot chocolate prepared Belizean style with black pepper. The beans that are sold to MMC go through a different postharvest process than that used for home consumption. Each week the buying team visits the households of hundreds of farming families, one by one, to purchase pounds of freshly harvested, wet cacao. The proceeding postharvest steps bring us back to the Cacao House, where the wet beans are fermented, dried, sorted, and eventually shipped in large containers to chocolate makers like Dandelion. It takes more than a full day of work and three people to make their purchasing rounds, in part because of the distance between communities, and in part because of the poor condition of some roads. These visits are also an important time to build relationships. I was impressed by how Daniel Coc would patiently sit down with each of the families to check in about everything, from squirrels on the farm to the health of the family. Since the buying team is usually the first-point of contact to the farmers, their ability to relate to the communities is a key ingredient in keeping everyone committed to quality. Selling wet beans to Deon Chavarria, the Buying Director of MMC. He weighs the wet beans, pays the farmers, and loads the beans into trucks to bring to the Cacao House. The banana leaf covering the wet beans helps prevent oxidization. After spending this time getting to know the families in their home environments, I thought back to my original question: What was it that gives chocolate from Belize its unique flavor? Within the Geography Group at UC Davis, we’ve been looking at this from the perspective of terroir and are working on a forthcoming paper. In the chocolate world, “terroir” can mean a number of things depending on who uses it, from biophysical traits like cacao variety or genetics, and harvest year to cultural dimensions like fermentation and cultivation practices. 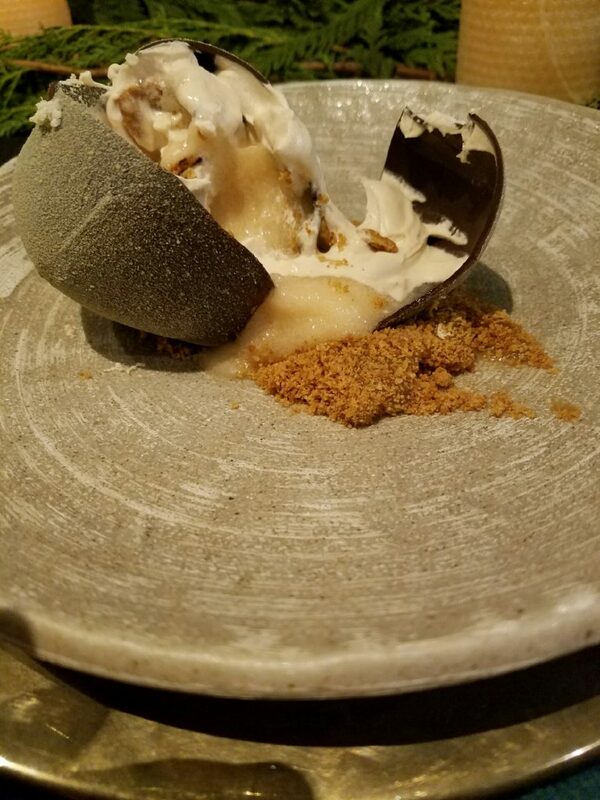 I personally am finding that there is no single definition, similar to what Kristy Leissle had uncovered about the word “artisan.” In trying to get to the root of terroir, as a means of understanding what makes chocolate taste the way it does, I’ve reflected on what terroir means to me personally. I see terroir as a web of interconnectedness. Within this web are communities of people, plants, and organisms. Terroir begins in the soil, where a healthy microbiome is essential for nourishing the roots that grow into the food we eat and contributing to the flavor in beans we turn to into chocolate. But terroir is more than just flavor, it is also about the people’s connection to the land and to each other. Terroir tells a story about people and place. As my research journey progresses, my understanding of its complexity will continue to evolve. What I can say, is that the unique flavor of cacao from Belize is a product of terroir in all its dimensions—and that cacao has a miraculous way of bringing people together. Acknowledgements: This journey would not have been possible without support from many people. I am grateful for the initial planning conversations with Cynthia, Greg, and Molly from Dandelion, Maya and Emily from Uncommon Cacao, and for the in-country field support from the Maya Mountain Cacao Team: Minni, Deon, Daniel, and the ten cacao families from whom I learned tremendously about the taste of cacao in Belize. You can follow Madeline’s PhD journey and exploration of flavor on Twitter and Instagram: @madelinecacao.